I DON'T LIVE PERVS! WHAT!? 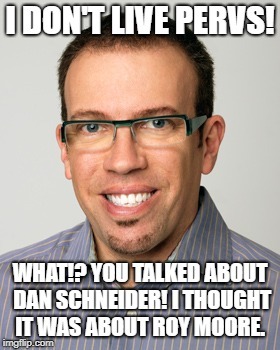 YOU TALKED ABOUT DAN SCHNEIDER! I THOUGHT IT WAS ABOUT ROY MOORE.